Bring 1.5 liters of water to the boil. 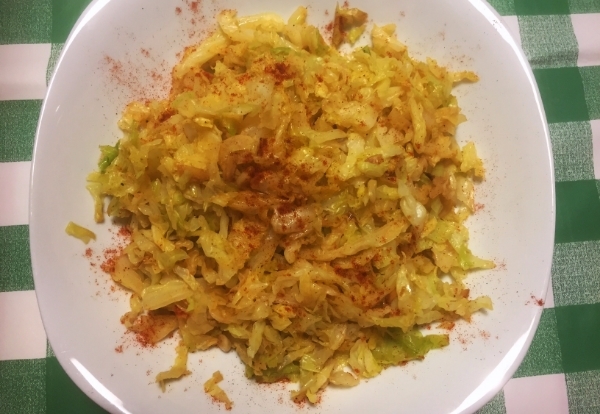 Add the shredded cabbage and cok for 3-5 minutes depending on how cooked you like your vegetables. While it boils, fry the garlic with the coconut oil. Once the cabbage is boiled, drain it, then add it to the golden garlic. Add the salt and some black pepper and cook for about 3 minutes. Turn off the stove, add the olive oil and paprika, taste for seasoning, and serve.